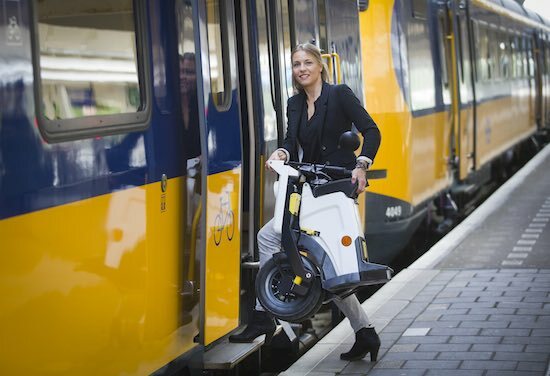 The GiGi is a high quality fold-able electric scooter by a Dutch manufacturer. 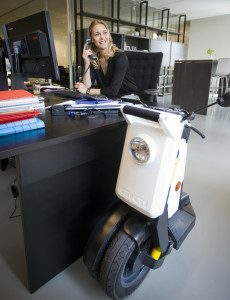 The scooter has been designed by C10 Design, a company involved with product design for big brands such as Heineken, Dell and Philips. 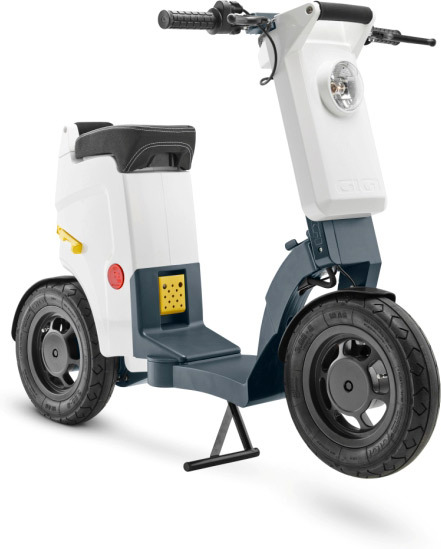 The scooter is manufactured in Europe. The scooter has a weight of 32 kg and is easy to fold and unfold. 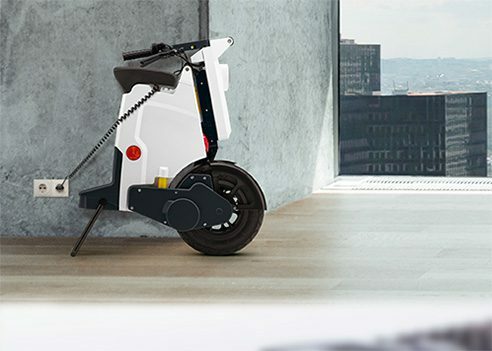 The scooter folds or unfolds in under 10 seconds. In folded mode the scooter can be carried as a trolley, for example on a airport. 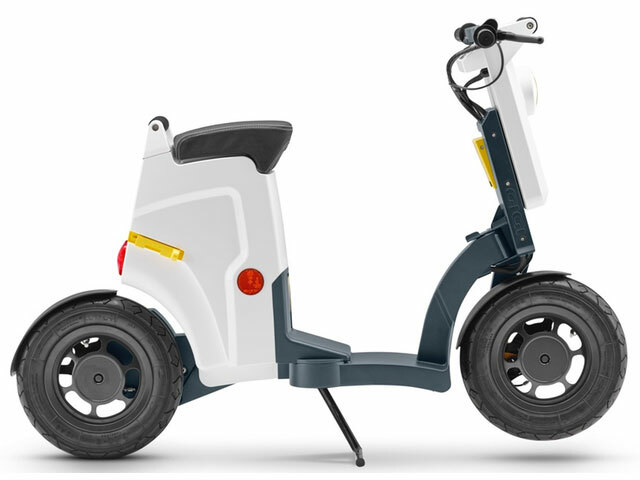 The folded size of the scooter is 72 x 33 x 84cm (HxWxL) which easily fits in the storage compartment of a small car. 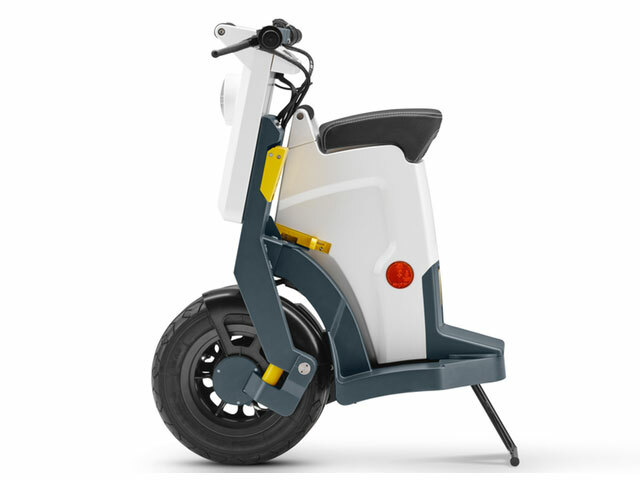 The scooter has a 500 watt electric motor and a top speed of 25 km/h. The scooter is allowed to be driven without a helmet. The scooter can be delivered with 2 battery options 400 Wh and 600 Wh. The 400 Wh version offers a range of 30km, the 600 Wh version offers a range of 40 km. 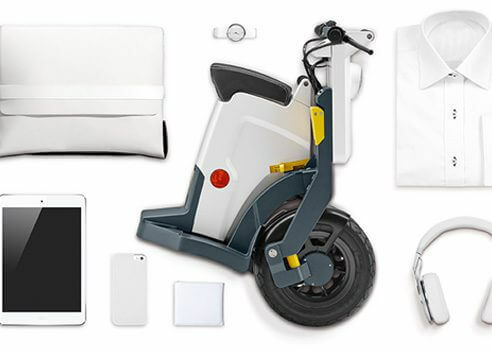 The GiGi scooter has a built in international charger that supports both 110v/230v which makes the scooter an efficient companion for business travelers. The charge time of the battery is 3.5 hours and the batteries reach a 80% charge after 2 hours. The scooter has a digital dashboard that provides essential information about the scooter such as speed and battery status. The scooter has 2 driving modes: Default and Sport. 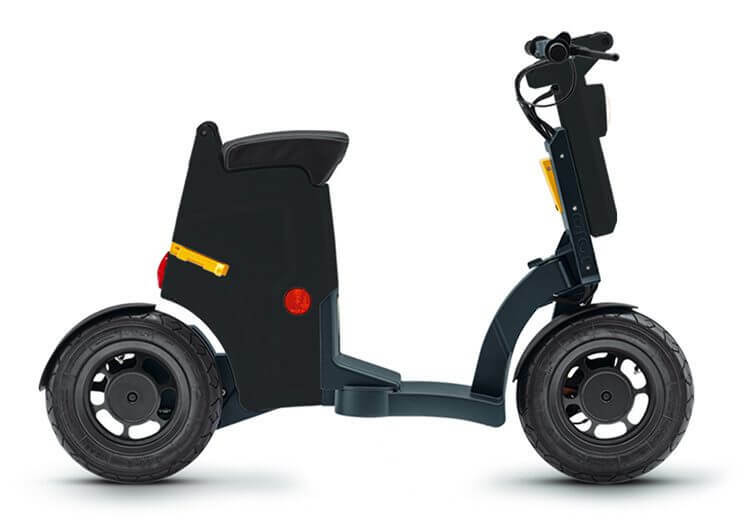 The GiGi scooter can be ordered in the colors white, black, red and mint green.